What will Meghan receive at her baby shower? Meghan Markle is expecting her first child with Prince Harry in spring this year and, like many expectant parents, it looks like she's celebrating with her friends. But what a baby shower is all about? 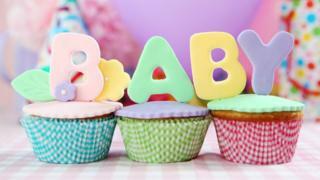 A baby shower is traditionally a party held for a pregnant woman shortly before she's due to give birth. Often this is for her female friends and family, though some people might have it after the baby is born or invite both male and female guests. Ever wondered what the royals should and shouldn't do? It's not known exactly when people started celebrating baby showers. 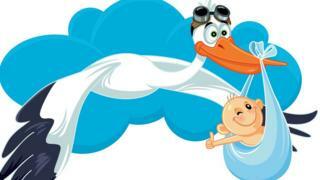 Throughout history and around the world, there are lots of ways people celebrate a new baby with different traditions. 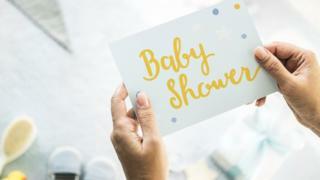 The modern idea of a baby shower in the UK comes from the US where it first became popular. Like lots of parties, friends and family are invited and guests bring gifts, often for the new baby or things that will be needed when the baby arrives. Games are usually played and, of course, there is lots of nice food too! But perhaps the best bit is that usually the person who the party is for - the mum-to-be - doesn't have to organise it herself. Instead her friends or family plan it and might even make it a surprise for her. Royal family rules: What are they allowed to do?